Being wanted is the best feeling in the world. Well, my developer friends, 2018 is your year. Businesses in practically every industry have a fever. And the only prescription? I know, I know. The demand for developers is nothing new. But 2018 is different. 2018 is the year where we see some of this decade’s most exciting technologies become commercially viable, and others finally go mainstream. We’ll see new forms of immersive entertainment, and inanimate objects will come alive in ways that really feel real. Trying to undermine this progress are intelligent and dangerous threats that must be outsmarted and outworked. There’s endless opportunity and danger ahead, and who is society going to call on to help us navigate it? Software Developer is now the #1 Best Job in the US and they have never been more important. Their work touches nearly every corner of our lives. Accordingly, the following software development trends for 2018 range from oil rigs to video games, and Wall Street to your living room. Many of these trends, like Blockchain and artificial intelligence (AI), will have an impact beyond our comprehension. 2018 will be an exciting and important year for software, and developers will play a fundamental role in it. 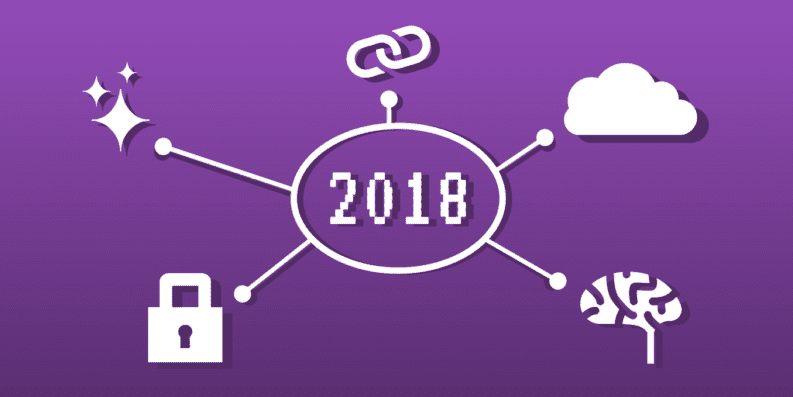 Without further ado, here are 5 software development trends that will dominate 2018. Feel free to share your thoughts, questions, and suggestions in the comments below. Blockchain became a hot tech topic in 2017, thanks in no small part to Bitcoin’s meteoric rise. But beyond digital currency, blockchain is a technology poised to revolutionize nearly every industry. In 2018, we’ll start to see the first attempts at this disruption through business-class blockchain platforms. Many of the legacy technology companies introduced their own blockchain platforms in 2017. IBM is considered the leader, and they are already penning partnerships with banks, food distributors, and government regulation agencies to put blockchain to use. However, Microsoft, Oracle, and Amazon are close behind, and the battle for enterprise-level blockchain dominance is just heating up. What does this all mean for the software industry? Businesses in every industry are going to start building apps on blockchain platforms, which means the demand for blockchain developers is going to explode. According to 2016 figures, there were only 5,000 full-time blockchain developers in the world. Surely that number increased in 2017, but it still pales in comparison to the over 18 million Java developers. 2018 will be a gold rush for developers who dedicate themselves to blockchain, and most will come away a whole lot richer. 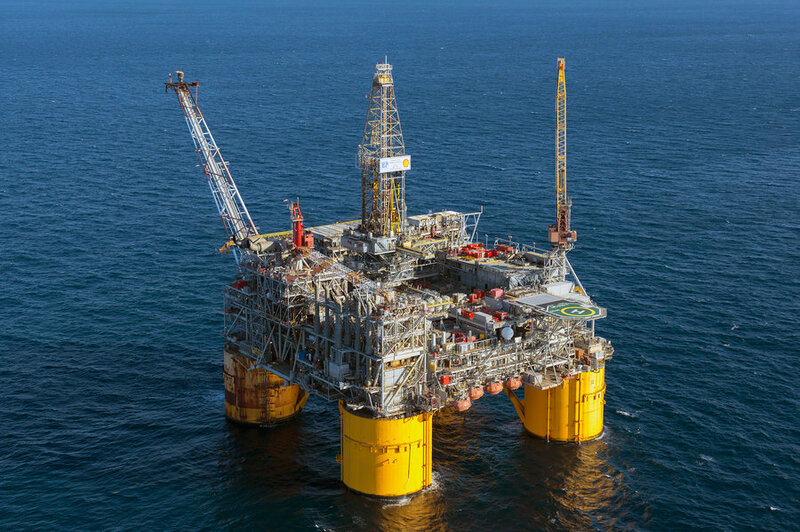 The Shell Ursa Platform Rig is located 130 miles southeast of New Orleans in the Gulf of Mexico. Rigs like this will rely on edge computing for local data processing. Wearables like the Fitbit and Apple Watch get most of the attention, but they are merely a niche in the vast IoT ecosystem. From cars to roads, deep sea oil rigs to living rooms, nearly everything is turning into a data-collecting device. These devices collect enormous amounts of data, and IT companies are exploring cheaper and faster methods of processing it all. That’s where edge computing is going to play a role in 2018. Edge computing uses a mesh of micro data centers to process data near the device, or at the “edge” of the network. Processing on the edge saves time and money from porting all of the data to a centralized data center. For the end user, this means IoT devices will be able to perform faster real-time analytics, even when they are in a place with poor connectivity (like on a deep sea oil rig). As edge computing becomes a priority, database and network engineers will be called upon to create the infrastructure of the IoT future. More businesses are also likely to adopt BizDevOps practices thanks to the faster real-time analytics, giving developers a seat at the strategy table. With a focus on Equifax, WannaCry, Uber, and National Security Agency, 2017 has been an awful year for private information on the web. That’s saying something, considering the election hacking fiasco a year before. Security is top-of-mind for every enterprise, organization, and government in the world, which means resources will be flowing to develop new solutions. Cybersecurity initiatives can be divided into two categories: Internal and external. Internally, businesses will be focused on building security into their software. DevOps teams should focus on automating security testing into their software development lifecycle. This will help ensure that vulnerabilities are not introduced during development. Externally, venture capitalists are flooding cybersecurity startups with capital, to the tune of $3.4 Billion in 2016. According to the Crunchbase Unicorn Leaderboard, there are currently 5 cybersecurity startups worth over $1B, and we should see more emerge in 2018. Like blockchain and edge computing, cybersecurity represents another green pasture for developers who want their skills to stay in-demand for the foreseeable future. It could also be some of the most important work of our generation. Software delivery will reach Formula 1-level speeds in 2018, led by the giants like Amazon who allegedly deploy new code every 11.7 seconds. Not every business needs to be that fast, but continuous delivery provides several advantages beyond just speed of deployment. These advantages will become table stakes in competitive software niches. In short, continuous delivery is when the default state of your software build is “ready for deployment”. As soon as code is written, it is integrated (called continuous integration), tested, built, and configured. The only thing left for developers to do is hit the big red “Deploy” button. Companies like Amazon take this process a step further by implementing continuous deployment. Despite speeding up the rate of deployment, continuous delivery actually helps teams reduce the number of errors that make it into production. Thanks to continuous testing, all errors are caught immediately and sent back to the developer to fix. Additionally, continuous delivery helps teams stay on track with building software their customers want. Following the Agile principle of short feedback loops, continuous delivery gets new releases into the hands of customers fast. Continuous delivery requires a number of tools to function, including a CI build server, monitoring tools, and code management platforms. To learn more about continuous delivery, check out our article on the topic. We’re reaching the point where businesses absolutely need to adopt AI in order to stay relevant. Voice-activated home assistants, smartphones, Big Data, and Insight-as-a-Service vendors will all have big years as a result of this AI adoption. But the biggest winners this year are data scientists and Chief Data Officers (CDO) who will be in high demand for a long time. Forrester predicts that AI will blur the boundaries between structured and unstructured data, and 50% of CDO’s will start to report directly to the CEO. As a result, over 13% of data-related jobs on Indeed.com are for data engineers, compared to 1% for data scientists. This reflects the need for practical, action-oriented data pros that can directly impact the bottom line. AI will most likely have consequences that reach beyond business. Already, visionaries like Elon Musk and world leaders like Vladimir Putin believe AI has the power to alter the world landscape. This is something to keep an eye on, to say the least. 2017 was the first full year of high-end, commercially-available VR headsets. Facebook’s Oculus Rift and the HTC Vive led the way in full-power VR systems (as opposed to smartphone-powered systems like the Galaxy Gear VR), but adoption has been slow. Analysts estimate less than 1 million units have been sold between the two. Both systems, however, are making big moves to expand the market in 2018. Facebook and HTC have both slashed prices considerably on their flagship headsets. 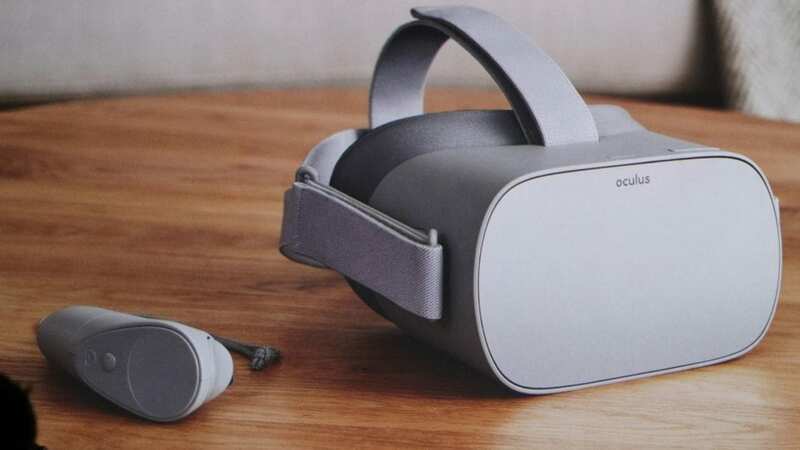 HTC announced a standalone headset just weeks after Facebook revealed the Oculus Go. Both of these “lite” headsets will start at much lower price point to attract new users (the Oculus Go will start at $199). For developers who daydream what it must have been like to work alongside Ed Catmull and Steve Jobs on the first computer-generated movie, VR offers another generational opportunity to be at the crossroads of entertainment and tech. 2018 might be the last time to get in early before it goes full Hollywood. There’s nothing but opportunity ahead for developers with the right skillset. Most of the software development trends in 2018 require more than just basic programming knowledge, but it’s never too late to add additional competencies to your toolbox. Stay up to date with Stackify’s blog for tips and tools to make you a better developer.